I have become personally aware of THREE wire thefts affecting title companies in the immediate DC metro area. One, wherein fraudsters got away with over $1,500,000, was the subject of a recent lawsuit. This is affecting local title companies – people you know. The fraudsters are getting into the title company email systems. They know when a closing is about to take place, and at the perfect moment, they send buyers false instructions on where to send money. The instructions can look like they are coming from the title company; therefore, they look legitimate. The buyer’s (or lender’s) funds are diverted. In one case, the fraudster sent the false instructions to the real estate agent who, unwittingly, forwarded the false instructions to the buyer without vetting them. The buyer, relying upon the real estate agent’s instructions sent the money to a fraudster. In another situation, the real estate agent’s email was hacked. 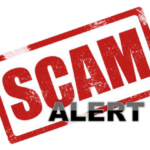 Again, at the right moment, an email came from the real estate agent’s account (or an account with almost the same name, with slightly different spelling), directing the title company to send the funds to a “new” account opened by Seller. The title company was alert and did not fall victim. Or, the fraudster pretends to be the seller and sends the title company an email or fax with wiring instructions. Again, the communication looks legitimate and the title company becomes complicit in sending the proceeds to the wrong account. Develop and announce today to your staff protocols for accepting and sending wiring instructions. At the very least, warn your processors and staff that ANY changes in wiring instructions have to be approved by a higher-up in the organization – that wiring instructions are sent and received only pursuant to a particular protocol – that lenders and clients are warned repeatedly not to accept wiring instructions from the title company unless a certain protocol is followed. Most title companies have this refrain in all email signature lines, but that may not be enough. It is incumbent upon everyone to check with your underwriter, DCLTA, information technology personnel, E & O and bond agents and carriers, and others to take actions to prevent false wiring instructions. Jackson & Campbell, P.C. stands by to assist, but preventive measures here are key.